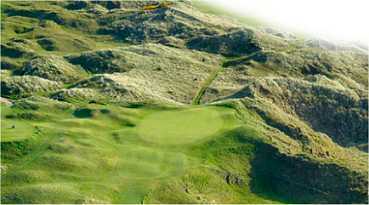 In the UK, it's simply called The Open  the world's first golf championship tournament which began in 1860. Today it is one of the hottest tickets in the world of sport. This year, as always, the British Open will feature top performances by golf pros who will gather to compete for the historic Claret Jug trophy and the Open's huge $1.5 million prize. 2019 will mark the 148th edition of the British Open, which begins on Thursday, July 18 and ends with the final on Sunday, July 21, 2019 at the Portrush Golf Club in Antrim, Northern Ireland. 1:30 a.m. - 4 p.m.
4:30 a.m. - 7 a.m.
in Antrim, N. Ireland, host to the 2019 British Open. In the US, watch for NBC and the Golf Channel to televise the 2019 British Open in its entirety. On cable, the Golf Channel will air the first and second rounds of the tournament while NBC airs the third round and final. Sky Sports will televise the British Open in its entirety in the UK in 2019. 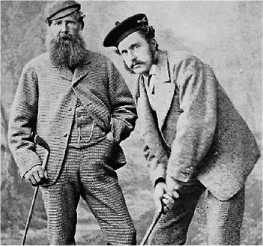 The oldest winner of the British Open was "Old"
Tom Morris who was 46 when he won in 1867.
when he won the following year. • Legendary British golfing great, Harry Vardon, holds the record for most British Open wins with six -- in 1896, 1898, 1899, 1903, 1911, and 1914. • American golfing great, Jack Nicklaus, named his golf course "Muirfield" in Ohio after the course where he won his first British Open in 1966. • Bob Charles was the first first New Zealander - and the first left-handed player - to win the Open in 1963. • Gary Player has played the British Open more than anyone with 46 appearances. Player further distinguished himself after winning the British Open in 1959, 1968, and 1974 making him the only golfer in the 20th century to win the Open in three different decades. • Ben Curtis was a PGA rookie ranked no. 396 in the world when he won the British Open in 2003. • Josh Hutchison was born in England, but he was a naturalized US citizen by the time he won in 1921 to become the first American to win the British Open. The Open Championship 2019 - The official site of The Open with ticket information and online purchase, video highlights, a daily photo gallery, player biographies, feature articles and historical timeline. BBC Sport | Golf - You name it, and the Beeb's got it , including the latest updates and video highlights, player interviews, photo galleries and interactive games, British Open history and trivia, official rules, golf lingo, travel guides, and don't miss the tongue-in-cheek A-Zee Guide to the British Open for American Visitors. The Open Championship - Wikipedia - The complete overview including historical highlights, future dates and venues, photos, related references and resources, and a list of winners from 1860 to the present.